EVGA SuperNOVA power supplies are well known for their extreme efficiency, performance and reliability. 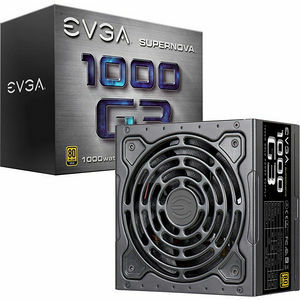 In fact, over the last 3 years EVGA SuperNOVA power supplies have won over 70 awards from leading review sites. It is EVGA's dedication to performance that has created the latest power supply platform? the EVGA SuperNOVA G3 Series. With these new power supplies, we take the best features from our award winning G2 lineup and makes them even better. A smaller size, improved performance and a new Hydraulic Dynamic Bearing fan giving you ultra-quiet performance at an increased lifespan.